Matt Gault enjoys breathing life into the places and people of Ligonier&apos;s past, especially when he can offer a view of history that surprises as much as it informs. “I do enjoy portraying a Virginia provincial soldier,” said the Greensburg native, who greets visitors of all ages at Fort Ligonier, the reconstructed 18th- century British outpost that preceded the modern borough of the same name. “The clothing is not what anyone would expect,” he said, pointing out that a loincloth might be an integral part of the soldiers&apos; attire. “They had adopted Indian dress because their uniforms wore out. They had long linen hunting shirts and leggings made out of wool. “George Washington may have worn that as well” — at least at the beginning of his military career, when he confronted enemy forces at the start of the French and Indian War. 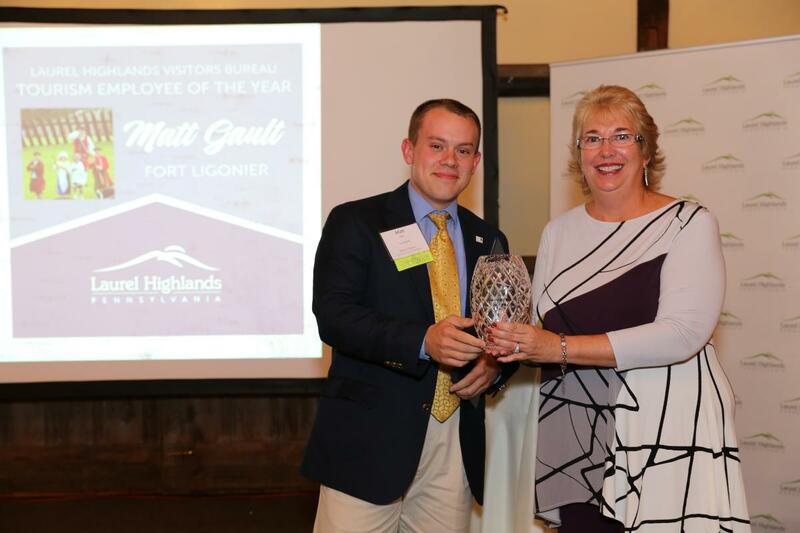 Gault&apos;s attention to historical detail and the engaging way he presents it has earned him the Tourism Employee of the Year Award, to be presented Wednesday at the 59th annual Laurel Highlands Visitors Bureau dinner.